Olivia Hayes from Oh! Hairdressing in Portstewart approached Venture Causeway with an innovative business idea last year which won her some much-needed mentoring and financial support. With plans to open a specialised trichology clinic and bring a much-needed and unique service to the North Coast, Olivia was delighted to attract two Venture Causeway champions. Norman Lynas, of Lynas Food Service, and Jack Cassidy from JKC BMW both agreed to mentor her in the run-up to opening the clinic. “They were very excited about it,” she says. “They wanted to be a big part of it and want it to employ people. Olivia’s dream of opening her clinic became a reality when, in addition to offering business mentoring, her Venture Causeway champions also invested £7,000 to help develop her idea. Through Venture Causeway, she also secured a grant from the Department of Education and Learning to cover 75% of her training costs at the London Institute of Trichologists. Once she completes the course, Olivia aims to open her Portstewart trichology clinic in 2016, creating jobs for at least two to three people. Having launched Oh! Hairdressing in 2009, Olivia says the clinic would have remained a pipe-dream if not for Venture Causeway. Established in 1998 by William and Stephanie Holmes, Moorbrook Lodge Trout Fishery in Castlerock has gone from strength to strength over the last 16 years. And, with a Venture Causeway investment of £10,000 awarded to the fishery in 2013, they’ve now expanded with a new coffee shop and increased their fishing stock supply. When Stephanie pitched to the Venture Causeway champions, she hoped to receive some business mentoring support, as well as important financial investment. She subsequently gained four champions through the initiative, as well as the means to expand the business. Her champions included Dr Mark McKinney of ATG Group Coleraine, Norman Lynas of Lynas Food Service, John Armstrong of Armstrong Medical Ltd and Karen Yates of Zing Design and Print. 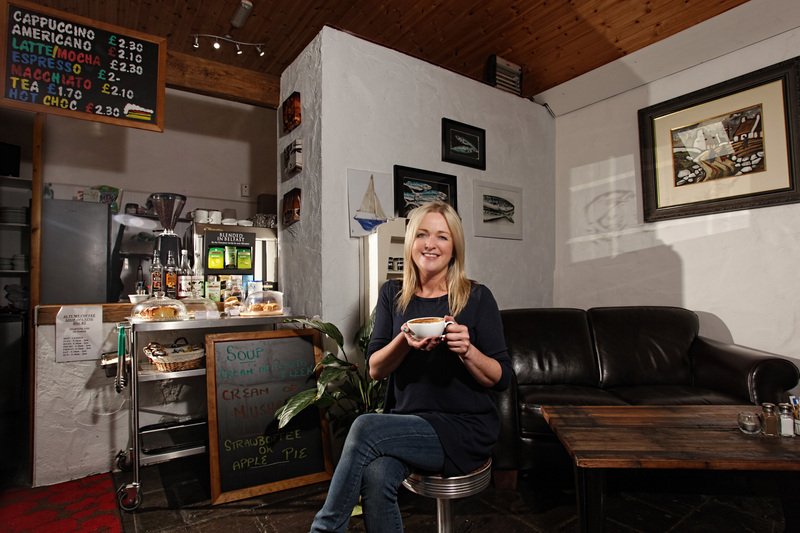 “I pitched to Venture Causeway for a coffee shop and to extend the fishery,” she says. With the backing and support of Venture Causeway secured, Moorbrook Lodge Trout Fishery was then able to create a new café, as well as six part-time jobs for the area. As well as boosting employment locally, the investment also added a new dimension to the business and offered something new for customers to enjoy. “Mark McKinney in particular was very good,” she adds. “He came out and gave me some great business advice and support, and brought out groups of people to fish. After carving out a career in the food industry, Portrush-based Clare Rainey turned her hand to making fresh pesto when she launched Kookycook back in 2012. Free from additives, Clare’s pesto, including Sweet Green Basil, Sun-dried Tomato, Rocket & Lemon, Green Chilli & Coriander, Mint, and Feta & Black Olive, was well received on the North Coast. 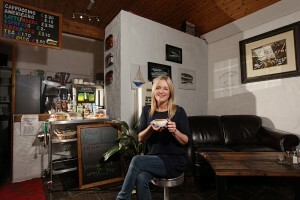 Working from her home kitchen however, Clare’s Kookycook business needed more space and professional equipment if it was to grow and become more profitable. Thanks to Causeway Enterprise Agency, Clare discovered Venture Causeway and subsequently pitched Kookycook to the team of local champions. Securing three champions for business mentoring support, Clare was backed by Norman Lynas, Darren Gardiner and Kenny Bradley, who each offered her £1,500. 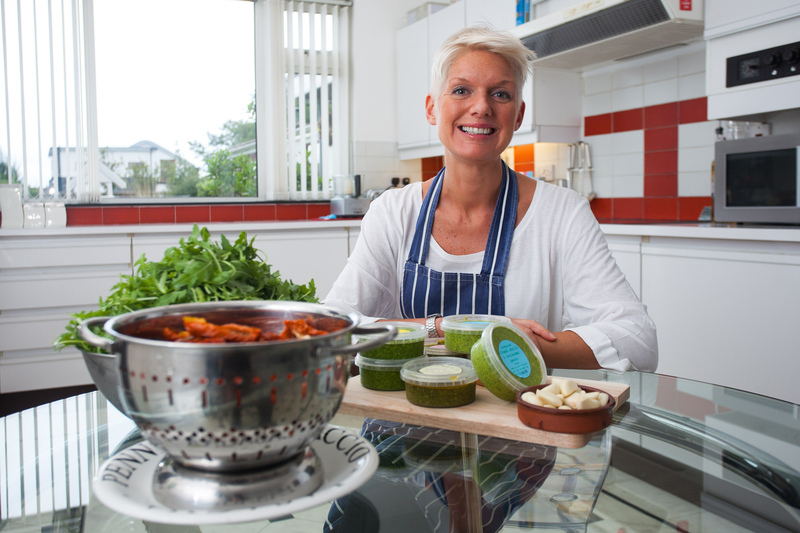 With the overall financial investment totalling £4,500, Clare was able to purchase everything she needed to help make Kookycook a success. “My garage was converted and I was able to buy the best industrial mixer,” she says. “Norman Lynas helped me fine-tune everything and helped me identify what I needed to make life easier – for example a bigger fridge, a better mixer, a bigger sink, better labels. “He also put me in touch with a graphic designer, who told me what I needed in terms of labelling and flyers. When Emma Gunes of Epitome Recruitment in Coleraine approached Venture Causeway last year with her business idea, her main goal was to expand her team and create employment. With a £5,000 investment subsequently secured from Emma’s Venture Causeway champion, Dr Mark McKinney of ATG Group Coleraine, her ambition was soon realised. Thanks to having two new staff members to focus on driving business growth, Emma has seen Epitome Recruitment increase its turnover by 35%, with profit also rising by 15%. “It’s early days, but the pace of business development has increased and we’re now able to run more recruitment campaigns, as we have the resources to handle applicant response,” she says. Aside from the investment however, Emma also benefited from the business expertise of Dr Mark McKinney, who encouraged her to think more creatively about Epitome Recruitment and consider its inherent value. “Mark has been in the background, on-hand to provide coaching and guidance, and has also been an invaluable ambassador for the business,” she says. 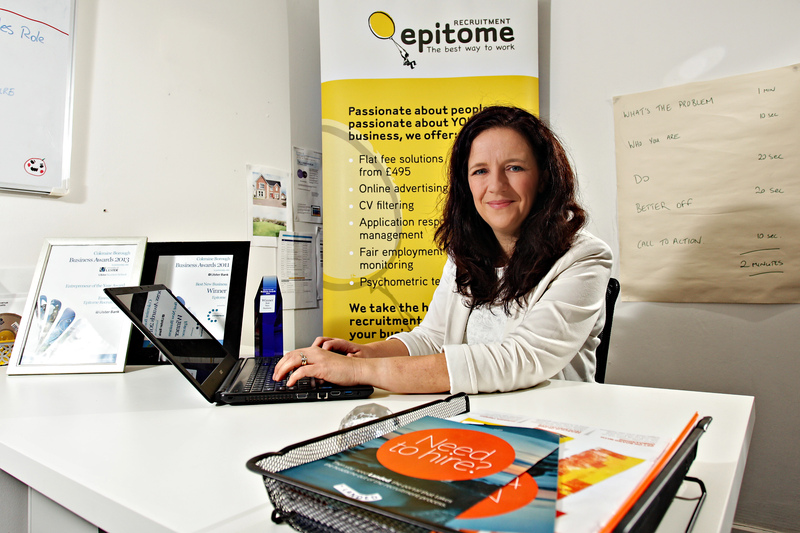 With business better than ever, for Epitome Recruitment, Venture Causeway has been an unprecedented success and, says Emma, gave her the chance to stop and re-evaluate her overall business structure. “The pitching gave me the opportunity to really think about my business in a non ‘sales’ term and evaluate what we did and what I want the business to do in the future,” she says. Over the past year, Venture Causeway champion, John Armstrong of Armstrong Medical Ltd, has been mentoring an exciting project from an Aghadowey-based researcher and academic. 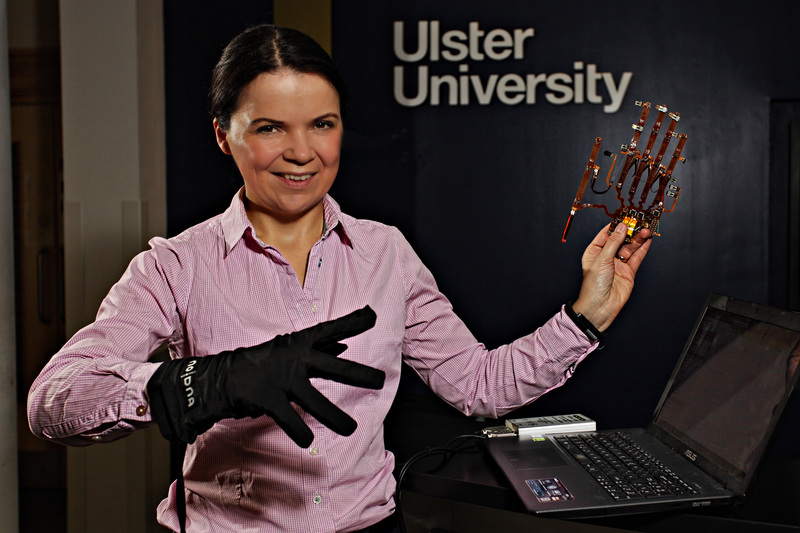 Digit-Ease, led by Joan Condell, is a research team currently developing a wearable glove which records joint movements and improves the diagnosis and treatment of rheumatoid arthritis. The team’s intelligent computing system should subsequently reduce the need for expensive drugs, by detecting and treating arthritis more quickly. “I went to Venture Causeway for mentorship, as we can access funding through the university,” says Joan, a senior lecturer in maths and computing at the University of Ulster’s Magee campus. As a spin-out company, Digit-Ease hasn’t yet launched, as the glove prototype is still undergoing clinical trials at the Western Trust at Altnagelvin, but these should be completed by Christmas. Currently employing a full-time researcher to carry out the trials and develop the technology, Digit-Ease hopes to create further jobs in the future. This could mean up to five more posts initially, with the potential for more. With Venture Causeway’s support in helping to refine the business model and develop their route to market, Digit-Ease, says Joan, is now one step closer to completing their work. Once the place to be for dancing the night away, The Arcadia in Portrush has enjoyed a new lease of life over the past five years, thanks to Tanya Gillen. 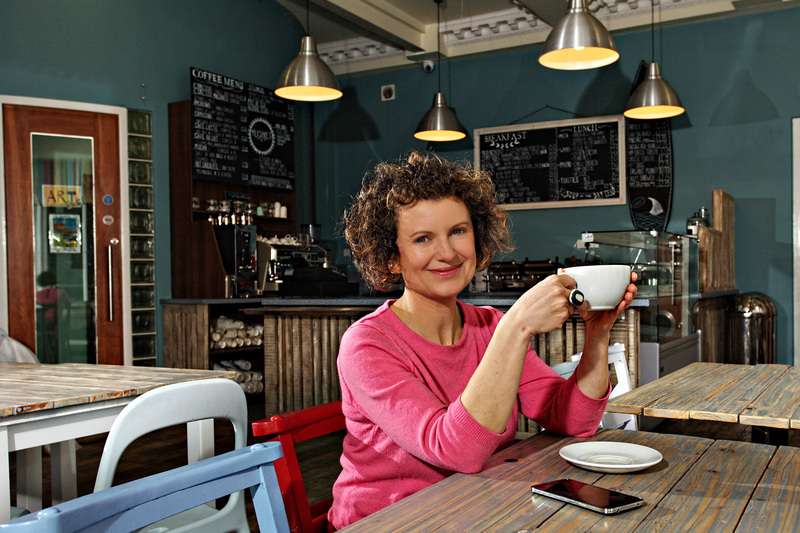 Having already launched a café, fitness classes and workshops, as well as hosting wedding parties, Tanya has now extended the business further, after receiving a £10,000 investment from Venture Causeway. Thanks to insightful business mentoring from her Venture Causeway champions, Jack Cassidy (JKC BMW) and Norman Lynas (Lynas Food Service), Tanya has renovated The Arcadia to create more business and employment opportunities. With her champions on board, Tanya was given free rein to complete the renovations, all of which were done by local contractors. She subsequently replaced the tiled floor and large cumbersome counter downstairs, and invested in new tables and chairs. As a result, Tanya doubled her seating space and now has three weddings booked in to The Arcadia for next year, creating around six new jobs per wedding. “We now also have Supper Club once a month,” she adds. “The Arcadia is going to be a facility for chefs to come in and serve a large group in one sitting. Whoosh is doing the first one – a Thai Tasting night – which is already sold-out. We hope to have it once a month, then every three weeks, then every Saturday night. When you already run a successful business, it can sometimes be difficult to know how to expand and grow into the future. Not so for Ricky Martin of Alive Surf School in Portrush, who’s driving his business forward thanks to an innovative surfboard prototype – and the backing of his Venture Causeway champions. As a separate entity to Alive Surf School, Ricky’s latest venture is so new it hasn’t yet been named, but is currently operating under ‘Martin, Windish and Ridley’, after its founders. What hooked the attention of Venture Causeway was Ricky’s unique surfboard design for people with physical disabilities, resulting in some much-need financial investment and local mentoring support. “We entered Venture Causeway because we had a product that we felt was completely innovative – a world-first,” says Ricky. Venture Causeway was the ideal solution and Ricky subsequently secured three business mentors – John Armstrong of Armstrong Medical Ltd, Norman Lynas of Lynas Food Service, and Kenny Bradley of Kenny’s Spar and Kenny’s Home Delivery Wine. 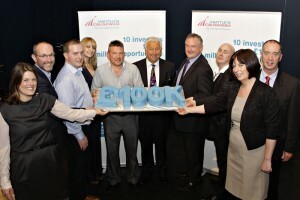 Crucially, he also received a £10,000 financial investment, meaning his business idea could finally move to the next stage. With the surfboard prototype due for completion by the end of October, the team will now consider whether they need to invest further to get it ready for market, or start looking at materials. 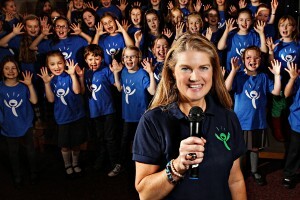 Passionate about inspiring creativity in children through music and drama, Coleraine-based Denise Rosborough fulfilled a dream when she released The Barazina Choirs’ debut album earlier this year. Having launched Barazina in 2009, Denise created Barazina Youth Choir in 2011, followed by Barazina Mini Choir in 2013, after discovering an “amazing amount of talent” on the North Coast. With champions, Jack Cassidy, Norman Lynas and Dr Norry McBride all willing to invest in Denise’s idea, she then received an offer she couldn’t refuse. “Two weeks after my pitch, the CEO of the world-famous African Children’s Choir asked me to work for them two days a week,” she says. “I’d also started writing songs for the choir and I wanted to record a CD and make a resource for schools and churches. Receiving £7,949 from Venture Causeway, Barazina Music: Drama subsequently recorded their album, creating contracts with four local individuals within the areas of music production, music arrangements and graphic design. The rest of the money went towards their website costs. “It was a dream,” says Denise. “Since then, we’ve also secured premises and I’ve employed two people to do the tutoring for Barazina and one person for administration. I’m also launching a new choir for 14-18 year-olds – Singzina – in November, which will involve taking on my fourth employee. 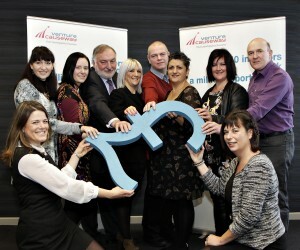 In December of 2013 8 Coleraine Businesses received a “Kickstarter” Grant from the Venture Causeway Champions coupled with 1-to-1 mentoring to help them to launch their new business idea.The businesses who benefitted were in their early stages of starting up and had to yet test the market. The mentoring and “Kickstarter” investment will help them to get their business off the ground and make their dream of starting their own business into a reality. At the end of a highly competitive month of pitching where 26 businesses competed for a share of the £100,00 investment pot, 13 businesses came out on top. That’s an amazing 50% of finalists who were made an offer by the Champions.Investment and Mentoring is on-going and throughout November 2013 to November 2014. The Champions have been working with the successful applicants and we are seeing great results including leverage of further funding, access to other mentoring programmes, business expansion and job creation. During November 2014 we will be catching up with the successful applications and their stories will be featured here, so watch this space. 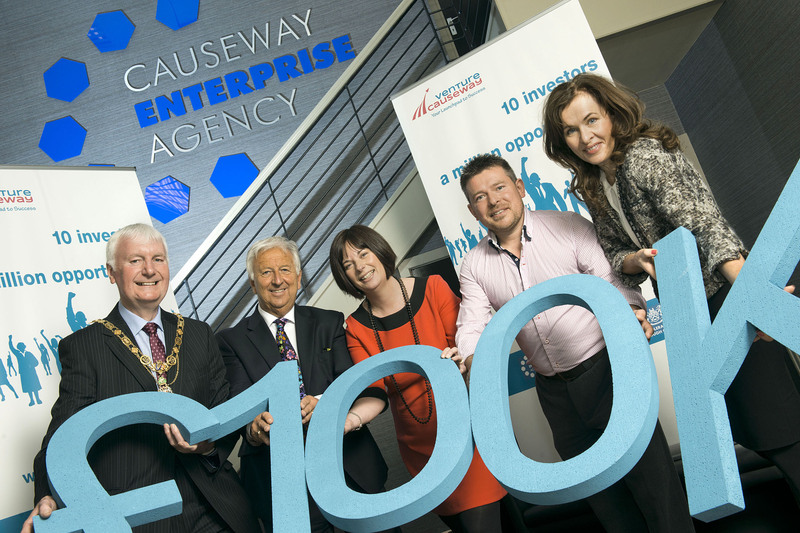 Venture Causeway is aimed specifically at Coleraine businesses both new and established and does not restrict applicants with any other criteria other than that the business must be located in the borough of Coleraine. Application for the competition is simple. Vist the Apply Now section and follow the details to download your application pack.